But if this past month is any indication of what’s to come, 2015 is going to be truly game-changing. I am incredibly excited and humbled to announce that Content Boost has been named a “market leader” in Clutch Research’s “Top Content Marketing Companies” report, the highest spot on the leader’s quadrant. I remember when Clutch first reached out to us for possible inclusion in this report. It was last September and the company representative informed me that Clutch analysts would spend the next few months analyzing more than 100 content marketing agencies. 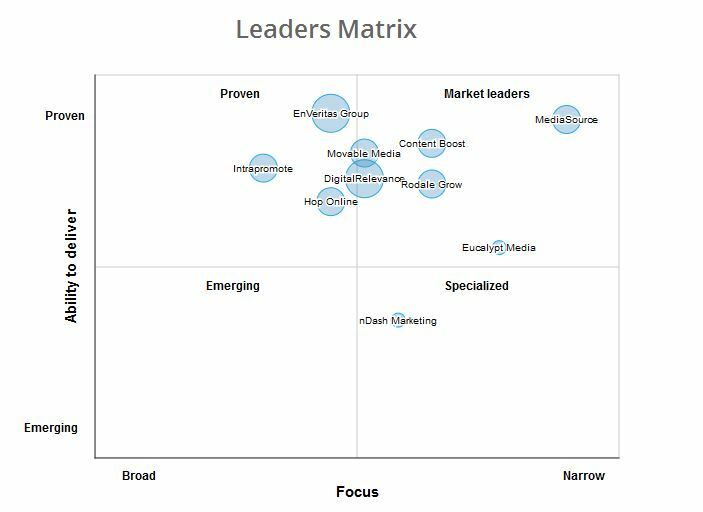 Each company would be ranked in the leader’s quadrant based on the testimonials supplied by the company’s clients and a combination of other factors that include each agency’s experience, client reviews and market presence. It’s an honor to not only be included in this report, but to place so high—mostly because the rankings are largely based on feedback from our clients. Here at Content Boost, our clients drive every decision we make. We expand our product line because of them. 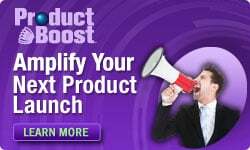 For instance, when our customers came to us in need of a dedicated product launch marketing strategy last year, we conceptualized Product Boost, our latest offering under the Content Boost brand. We evolve our best practices for them. Specifically, we’ve learned our clients crave high-touch, intimate relationships with us so we spend ample time marrying our clients to the appropriate content producer. Moreover, we actively work to deepen our relationships every day, by sitting in on our client’s marketing meetings, doing deep-dives into their product offerings and remaining inquisitive as we solidify the relationship. We grow our team in their best interests. If our clients increasingly desire hard-hitting news pieces, we recruit award-winning journalists. If our clients search for SEO-driven content, we send our team to ample SEO marketing conferences. We staff and retain our team with our client’s interests in mind. So I want to take a moment to thank not only thank Clutch for inclusion in their report, but to thank our customers, who give us as much as we hope we give them. Your insights inspire us, your conversations fuel us and your passion for your brands ignites the best possible marketers in us. We can’t wait to see what is in store for 2015!